While the fiction of novelist-philosopher Ayn Rand is extremely popular and enduring, little has been written on it so far. This book consists of essays, most of which are new, by top Rand scholars on Atlas Shrugged, her magnum opus. The essays deal with historical, literary, and philosophical topics, surpassing related writings in breadth and depth of analysis. The historical essays cover the writing of Atlas Shrugged, its publication history, and its reception. The literary essays cover analysis of the novel's plot, theme, and characterization; comparisons with other works, such as the novels of Hugo, Dostoyevsky, and Joyce; and the proper approach to adapting Atlas Shrugged to film. The philosophical essays cover a vast range of topics, including the place of Galt's speech in the novel, the role of the mind in human life, and the evil of non-objective law. 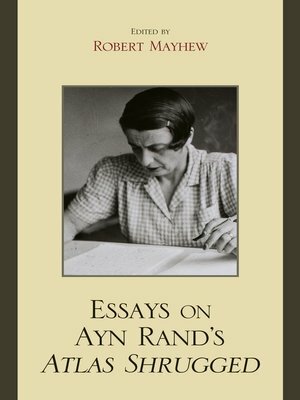 Some of the essays make use of previously unpublished material from the Ayn Rand Archives.